Ladies and gentlemen, it appears that the gauntlet has been thrown down. The Tourism Department of British Columbia has recently released an advertisement that truly reflects the reason so many of us have made the move West. Suffice it to say, it’s not a patriotic pride; more of an environmental pride. 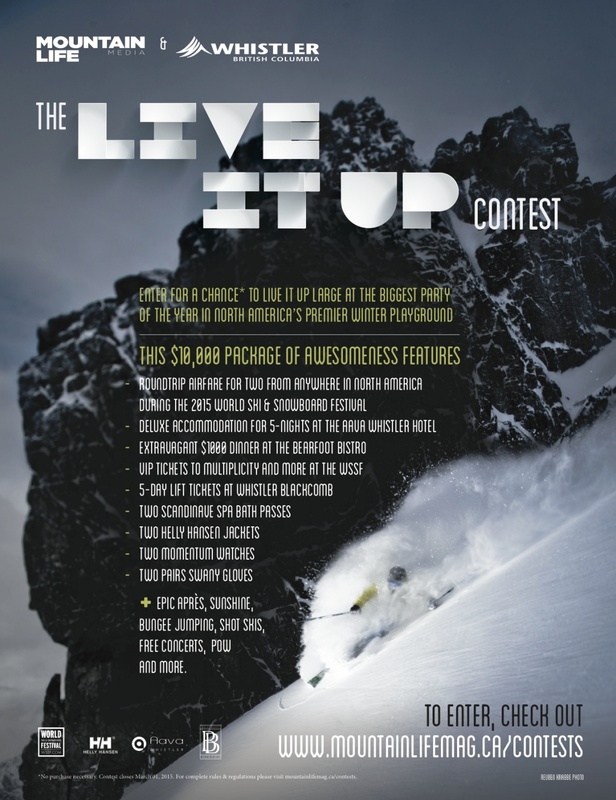 There are all kinds of political petitions and causes to save BC and Canada as a whole, (check out Avaaz, Leadnow, and Care2 if you want to help or donate), but after that, you may as well get into the running for our “Live It Up” Contest, to see what all the fuss is about. The grand prize checks in at over $10,000, and you will be privileged enough to see why so many people are proud to call British Columbia their home – or, like many of us, their adopted home. How good is this prize? Family members hate the Mountain Life staff because they’re ineligible to win. And, for the most part, our families love us. Enter here (if there’s no relation).